The walls of Tallinn had been up for six centuries when the Wall went up and were still up three decades later when the Wall came down and when Estonia joined the EU and then the Euro and the border posts came down and the prices went up and the tourists flooded in. They come to gaze at the old city walls and the terracotta-topped turrets and the cobbled lanes and the merchants’ houses and craftsmen’s guilds and the spires and arches and old wooden houses and pastel-painted facades and to smirk at the sign which modestly claims that “parts of the old monastery [are] of historical interest” and a tower called Kiek in de Kök, which sounds painful but turns out to be Low German for ‘peep in the kitchen’. The old town was made a conservation area in the middle sixties – around the time that architects everywhere decided that buildings should be unpleasant to look at – and the medieval skyline has not been interrupted by discordant modern blocks and, within the walls, old Tallinn has retained its historic integrity and manages without the cheesy, oversized logos of global chains which so many ancient towns think they need. The buildings, which were shabby and soot-blackened in the Soviet days, have since been cleaned up and freshly painted; and the town has been cleaned up, as well, since the early, free-wheeling, post-Soviet days when dive bars offered cheap drinks and bad music to roaring stags and screeching hens, and working girls openly hustled for business in the middle of town. It is a beautiful, charming, intensely photogenic city. But for much of the day, it is hardly worth taking your camera out because every building has people standing in front of it, straightening their hair with their fingers and smiling uncertainly while significant others take endless snapshots for family albums, and friends photographing each other doing the sort of jumps you see in the brochures for self-styled adventure travel companies – the sort which look like a soldier being machine-gunned from behind. I carefully picked my way through the chicanes of selfie sticks, and ducked and hurried and did emergency stops to avoid photobombing strangers, and got repeatedly stopped by couples who pressed their cameras on me and appointed me their official photographer, as they posed in front of buildings, straightening their hair with their fingers and smiling uncertainly. I stood, as if at a level crossing while a goods train passed, as tour groups with loud voices and louder shorts rallied behind the flag, saying “hey, ain’t it priddy,” and “questo è bellissimo” and “look, dear, aren’t there a lot of foreigners”. 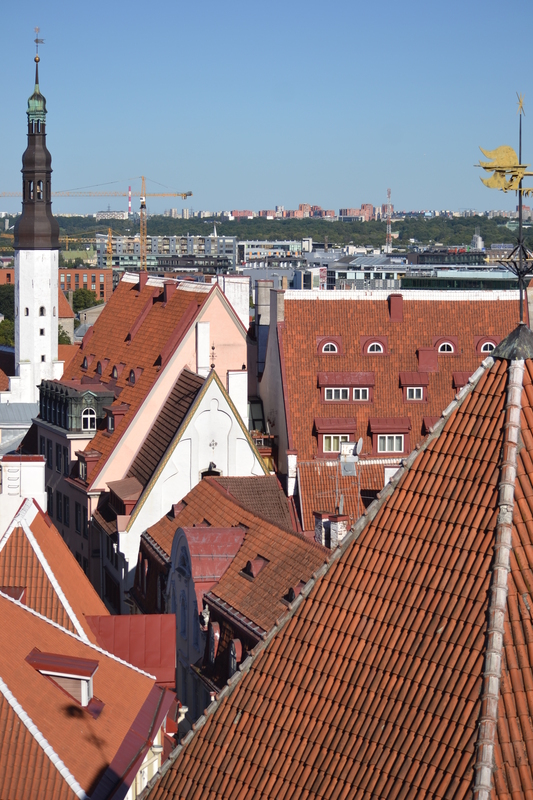 Half a million people live in Tallinn and another half million pour off the cruise ships every year. All of them seemed to be there at once, on the same baking August weekend as me. Then at five o’ clock, the foghorns of the ships in the harbour farted and the multiple bells of the Alexander Nevsky Orthodox Cathedral announced the hour: the big confident bells, the apologetic little bells, the sonorous bongs and incessant tinkles, all clashing together in a great cacophony like a big box of assorted bells dropped down a flight of stairs. They went on ringing for at least a minute – I thought they might keep it up the whole hour – and, distracted by them, I did not notice at first that the crowds had melted away, that the lanes had cleared, that no one was posing now in front of the buildings straightening their hair with their fingers and smiling uncertainly, and no one was asking me to take their photo, and the pied pipers of the tour companies had led their groups to the harbour. It was dreamlike, then, in the narrow lanes with the dwindling sunlight playing on the buildings and casting long shadows and few people about and little sound except my own footsteps on the cobbles. Lovely read. Felt like I was there. I agree. 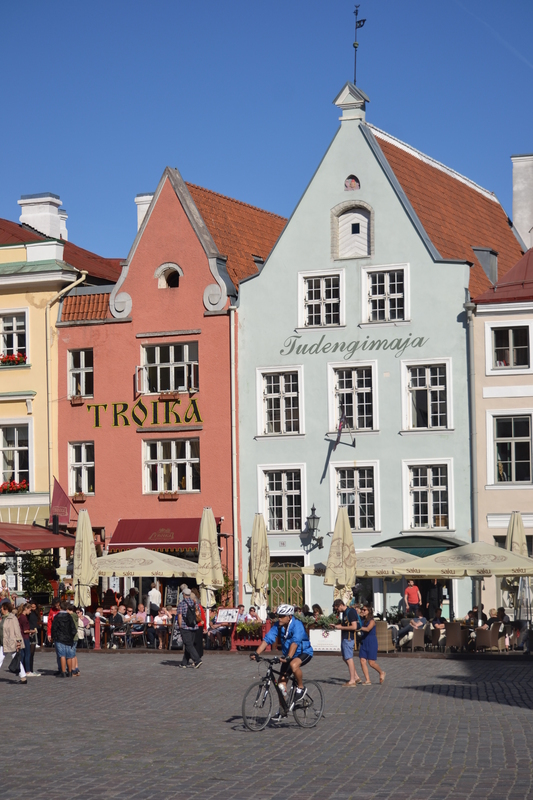 It was my favourite of the Baltic capitals, although I liked Riga and Vilnius too. 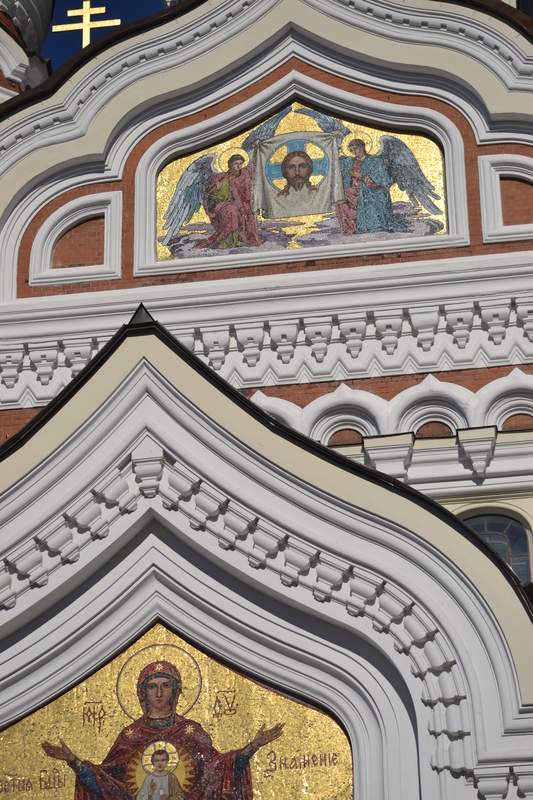 All of the three Baltic capitals got a lot to offer, especially when it comes to sights and history.